If Terence Mukupe and Justice Mayor Wadyajena are not ignorant, they are stupid. Removing a sitting president from power via parliament is neither a crime nor a sin but a manifestation of democracy. According to the media reports, Wadyajena and Mukupe were among the 35 MPs who held a secret meeting at ZANU PF Headquarters planning to impeach president ED. Impeaching a sitting president via parliament is constitutional, criminalizing it is a mistake that cannot be done by normal people. This peace seeks to support the alleged ZANU PF MPs who are planning to impeach president ED constitutionally. I was shocked to learn that, some media are labeling the 35 MPs 'rebels'. Do they know the meaning of rebels? These (35) MPs are heroes, their aim is to resuscitate Zimbabwe from ICU and this can only be done following the impeachment of the clueless president ED. 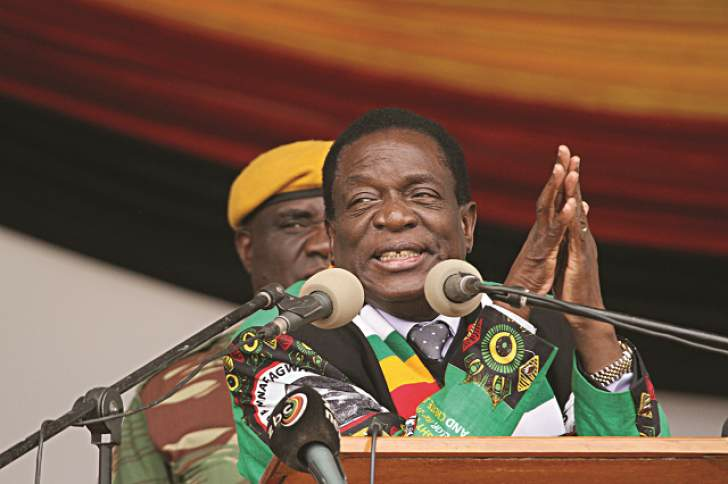 Why should Zimbabwe keep ED in power when poverty has just reached another level under his watch? Mukupe and Wadyajena should study the constitution of Zimbabwe and parliament standing rules before waffling and vomiting. They have demonstrated their stupidity by trying to suppress democracy that is stipulated in the constitution of Zimbabwe. Zimbabweans want peace and not violence like the one engineered by General Chiwenga and ED when they overthrow R.G Mugabe from power. I am confident that Mukupe and Wadyajena were there (at the meeting) with the group that overthrow R.G Mugabe but they never said anything despite the fact that the move was unconstitutional. Mukupe and Wadyajena should be egocentric, they are now fighting for ministerial appointments from the incompetent president ED through subverting democracy. I am surprised to hear some people saying that the two blew a whistle? Which whistle? Impeachment is enshrined in the constitution of Zimbabwe, therefore no credit should be given to the two evil people because the national constitution blew the whistle long back. Mukupe and Wadyajena just like their boss performed dismally when they were government ministers and they have nothing to offer except violence and gossips. What is happening in UK on Teresa May is on public domain. She survived two impeachments, one from her own party MPs and the second from the opposition. I think Wadyajena and Mukupe did not learn from the incidents and I am now doubting their academic qualification because allegations are that some ZANU PF MPs are Boda Gezi ZANU PF service graduates. We do not need people like Mukupe and Wadyajena who still think below the capacity of a kindergarten graduate. Join me in condemning Mukupe and Wadyajena, they should not sensor our democracy. The MPs should put their hands together and impeach president ED because he has done nothing. As long as president ED remains as a president, queues for fuel, cooking oil etc will become inherent. Zimbabweans cannot suffer because of ED, he has failed and should be impeached. I am therefore not surprised when Mukupe is complaining about deaths threats being send to him on daily basis because he is trying to overthrow the constitution of Zimbabwe and should be charged for treason.